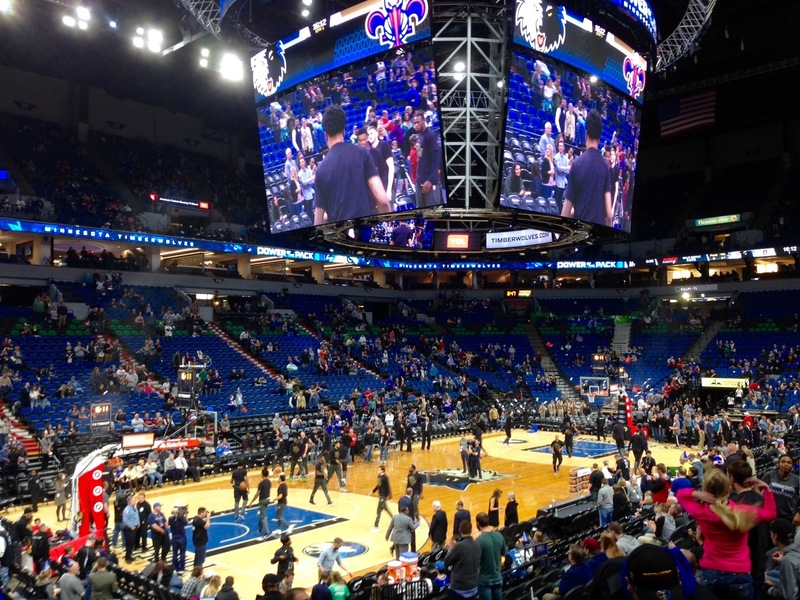 My cousin’s two boys were awarded free tickets to the Target Center to watch a Timberwolves basketball game for getting on the “A” Honor Roll. They needed two “adults” to go with them, and somehow I was picked to attend, as well as my Uncle. The New Orleans Pelicans were in town on the day that they picked to go. It was also Crunch’s birthday, the mascot of the Timberwolves. Which added to the festivities. Karl-Anthony Towns had a great game, and put on a show in the first half, but he found himself in foul trouble fairly early in the second half. Towns ended up with 36 points, and 8 rebounds. Ricky Rubio also played well, scoring 15 and dishing out 12 assists. The Wolves led at halftime, but their bench left a lot to be desired. When the starters rested or were on the bench due to foul trouble, the Pelicans came back, and led much of the second half. New Orleans would go onto a 122-106 win. Hall of Fame radio broadcaster, Ray Christensen, passed away this week. 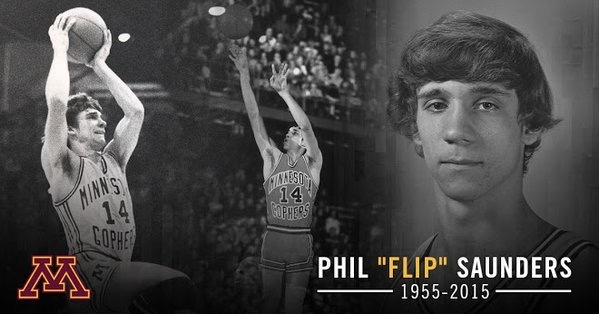 He was the voice of the University of Minnesota Golden Gophers for 50 years. Christensen, who served in Europe with the U.S. Army in WWII, graduated from Minnesota in 1949. He had started his radio career at KUOM in 1946. Two years after graduating, the University hired Christensen to call play-by-play for Gopher football. 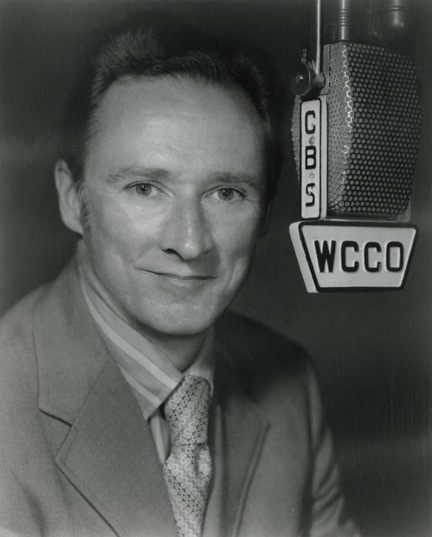 In 1963, Christensen joined WCCO Radio. Ray Christensen would go on to call 510 Gopher football games and 1309 Gopher Men’s basketball games over his five decade career with Minnesota. He also called hockey games, golf, Minnesota Viking and Twins games over the course of his career. He retired in 2001, but returned for the first game in the new TCF Bank Stadium on campus in 2009. 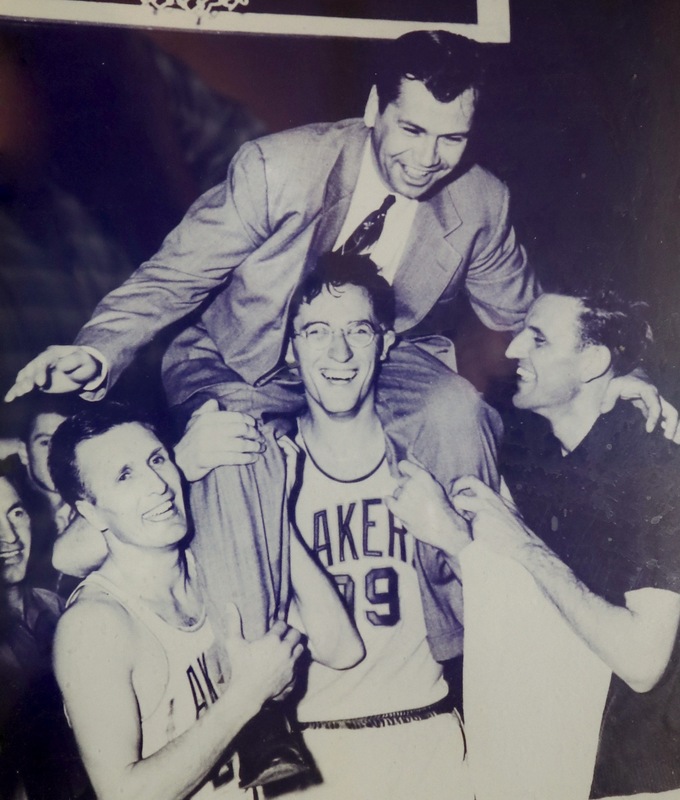 Former Coach of the Minneapolis Lakers, John Kundla, had his 100th birthday today. Kundla was a star player for the University of Minnesota Gopher basketball team from 1936-1939. He joined the Navy, serving with LST units, when the U.S. entered WWII. After the war, Kundla went on to coach St Thomas in the Twin Cities. 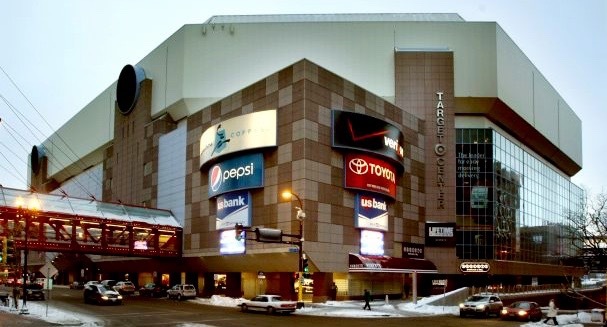 In 1947, two Minneapolis business men bought the bankrupt Detroit Gems for $15,000 and moved them to Minneapolis, renaming the basketball franchise the Minneapolis Lakers of the National Basketball League. Kundla was hired as the Lakers head coach, and the team signed George Mikan. The Lakers went on to win the NBL title that year with a 47-17 regular season record. The team joined the Basketball Association of America (the forerunner of the NBA) the following year, and went on to win five NBA titles over six years. Kundla is still the only NBA coach to win two titles in his first two years. Steve Kerr came within one game of duplicating that feat this year. The Minneapolis Lakers would be the first NBA team to win three consecutive titles under Kundla. Kundla left the Lakers in 1959 when the franchise was sold to Bob Short, who intended to move the team. Kundla would go on to coach his alma mater, the University of Minnesota for nine years. The Lakers would move to Los Angeles in 1960. John Kundla would be elected to the Basketball Hall of Fame in 1995. A slight shift of gears here with a change of sports. #6 Maryland was in town to take on the Minnesota Golden Gophers, so I decided to head down to Williams Arena to take in some hoops action. 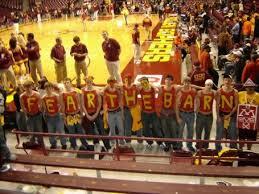 Williams Arena, affectionately known as The Barn in these parts, opened in 1928 and currently seats 14,625. 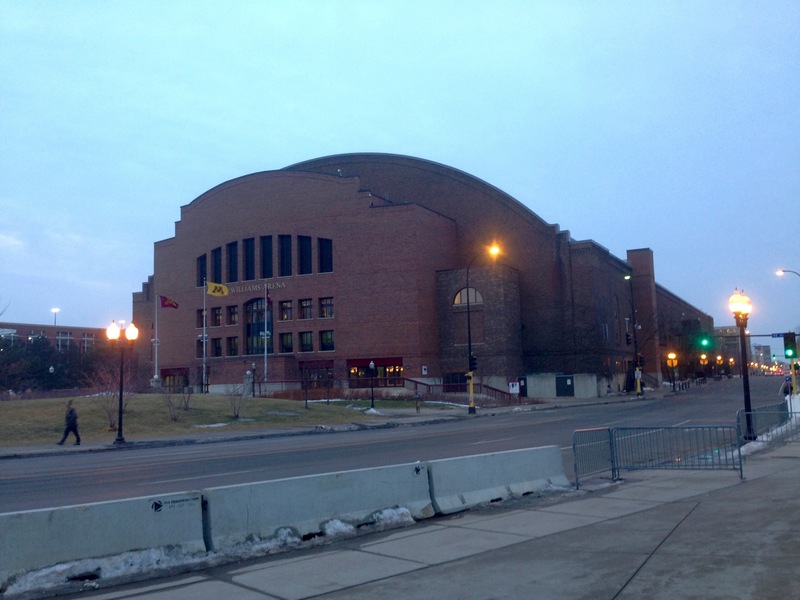 Between 1950-1971, Williams Arena was the largest college basketball arena in the country, seating 18,025. 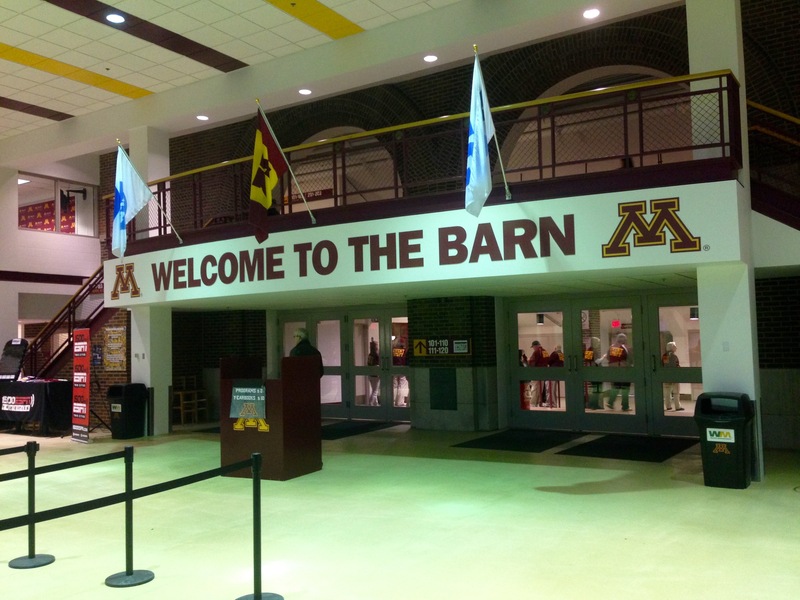 Located in Stadium Village on the East Bank of University of Minnesota campus, I had not been to a basketball game in the venerable arena since I was a student at the U of M.
The Barn, with its raised floor, is a unique venue for college basketball. It is one of three college basketball arenas in the country with a raised court. Getting to the second deck in Williams Arena, is like making your way through the bowels of a WWII battleship. It’s an old building, and fans can literally hang from the rafters. When the Gophers are winning, especially if it’s a rivalry game, The Barn simply roars and the entire building shakes with the stomping feet of the fans. 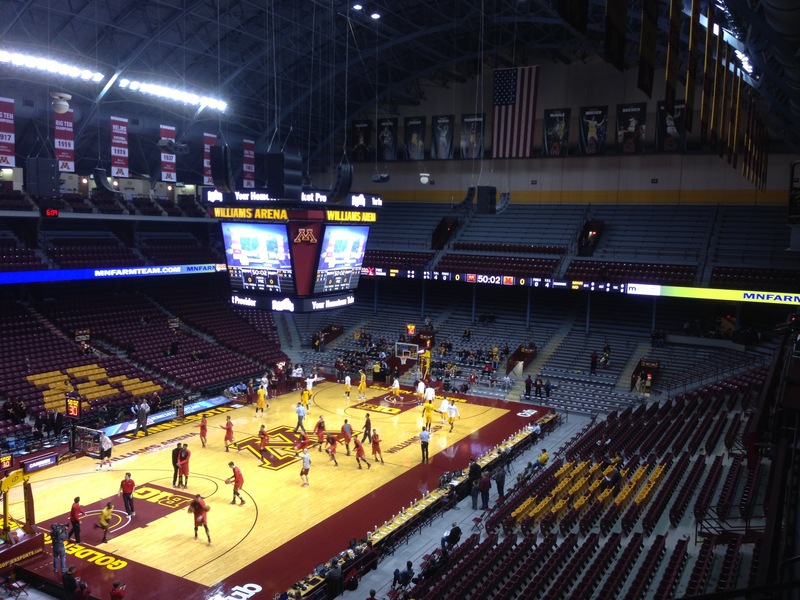 There was a time when opposing teams did not relish coming into Williams Arena. This year, I’m not sure a whole lotta shakin’ has been going on. It’s not so much a rebuilding year, as a resuscitation year. Prior to Thursday night, Minnesota had not won a B1G game this season. Enter the Maryland Terrapins: Second in the Big Ten behind Wisconsin and #6 in the nation. Minnesota hit 7 of 10 three pointers in the first 10 minutes to build an 11 point lead and set the tone of the game. Nate Mason had 18 points, 6 assists and 6 rebounds; Jordan Murphy 17 points and 11 boards; and Joey King scored 15 and added 6 rebounds. Minnesota led until 3 minutes left to play when Maryland went ahead 60-59, but Mason, King and Murphy all nailed free throws for the Gophers to retake the lead. In fact, King was 6 for 6 at the line in the final minute. What happens when a 14 game losing streak comes to a surprising end? The student section storms the raised court. 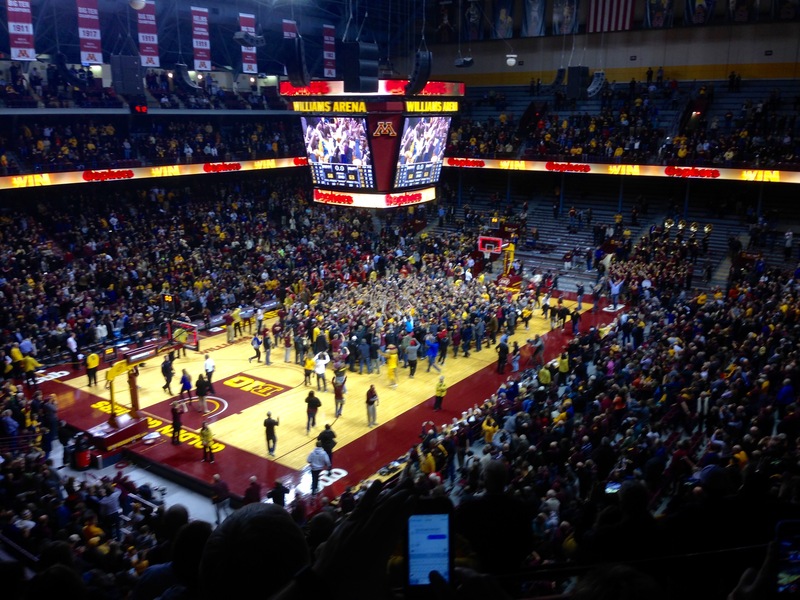 Fans have not stormed the court, since 2013 when Minnesota upset #1 Indiana. 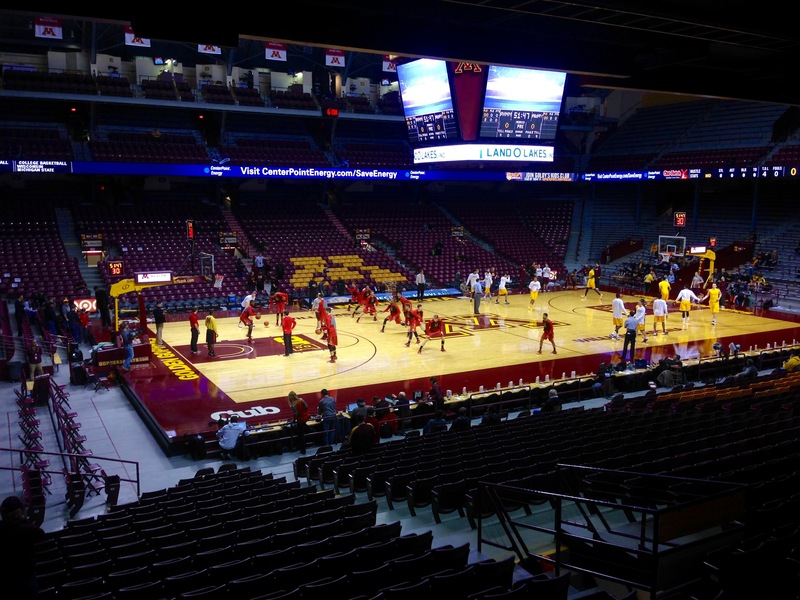 The Golden Gophers topped the #9 Ranked Wisconsin Badgers Wednesday night at Williams Arena 81-68. I have no doubt that The Barn was rocking, as Coach Richard Pitino led Minnesota to a second win in a row over a ranked B1G opponent.